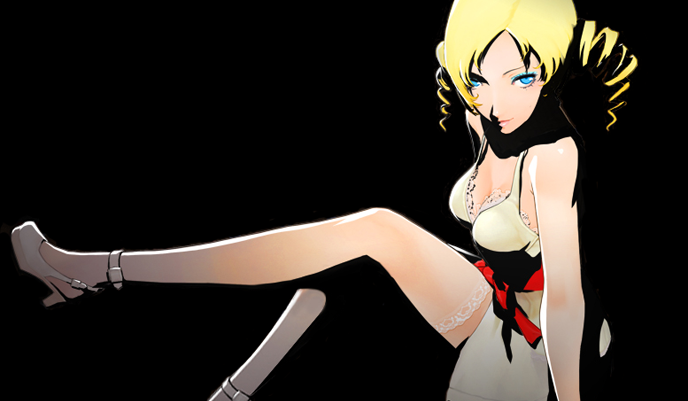 Catherine, released by Atlus in 2011, is a weird game. In it, you play as Vincent Brooks, a hapless salaryman caught in a love triangle with significant other Katherine McBride and a mysterious newcomer by the name of Catherine. Between intense stages of puzzle platforming, the player is asked a series of complex questions concerning love and relationships, ascending higher and higher until the saga of Vincent’s fear of commitment and infidelity reaches its dramatic conclusion. Sounds like the perfect medium for competitive gaming, right? Where there’s a will, there’s a way. By making use of Catherine’s versus mode, a core group of competitors sprung up in the middle of Northern California’s fighting game community. Perfectly at home alongside anime-inspired franchises like Guilty Gear and BlazBlue, this phenomenon expanded the boundaries of the genre by showing that one doesn’t need fireballs or uppercuts to craft compelling gameplay. Instead, head-to-head Catherine relies on the same climbing and building mechanics showcased throughout its core story mode. By shifting and scrambling over the huge blocks that make up each stage’s scalable tower, players are invited to think outside the box by using the resources on hand and forging their own path, all while the structure crumbles beneath them. In those early days, competitive Catherine relied on the most tried and true method of generating hype in the fighting game community: rivalries. By fostering a back-and-forth with their counterparts in Southern California, the early Catherine pioneers were able to carve out their own niche in a scene already known for their offbeat interests. Then, in 2015, the tiny movement took what was perhaps their most important step of all by earning attention from the developers themselves. With the help of John Hardin, PR Manager at Atlus USA, the Catherine community had a relatively large presence at the Evolution Championship Series, which basically amounts to the World Cup, Super Bowl, or World Series of fighting games. At the time, being granted space to hold a side tournament at the Atlus booth helped re-energize the fledgling scene, drawing in more eyes than ever before. For some, Catherine’s appearance at Evo was merely a fun distraction from the weekend’s competition, but for David “Dacidbro” Broweleit, a longtime (and now sponsored) fighting game competitor, it was the culmination of years of dedication to the game. After first discovering the joys of Catherine with fellow NorCal player Sean “Coopa” Hoang in 2011, Broweleit has been the foremost proponent of competitive play. And with his connections in the fighting game community, getting it accepted as a side event at local tournaments played a huge part in its early success. According to Broweleit, Catherine straddles the fence between puzzle and fighting game. While the core gameplay remains the same as the single-player mode, the addition of a second player, who is also trying to scale the ubiquitous block structures, adds the tug-of-war element that forms the crux of all major fighters. That said, there’s still a bit of contention surrounding Catherine’s appearance at fighting game events. Much of the discussion revolves around the abstract topic of what mechanics constitute a fighting game. In pushing for Catherine’s acceptance, Broweleit has encountered a number of dissenting opinions, which he’s done his best to dispel with careful and thoughtful conversation rather than outright dismissal. Broweleit found that even when detractors approved of quasi-fighting games like Divekick, Nidhogg, and Power Stone, the constant interaction with the stage in Catherine was too much of an outlier to look past. Still, it’s clear in his mind that the title isn’t simply corralled to one genre or the other, but a combination of the two that deserves to be respected for what it is. After a strong showing at Evo 2015, the Catherine community carried that momentum into Evo 2016 and, most recently, CEOtaku. An expansion of the high-profile Community Effort Orlando tournament series, CEOtaku is a celebration of all things anime, providing competition for some of the fighting genre’s most overlooked releases. By extending an invitation to Catherine players, organizer Alex Jebailey provided them with yet another milestone on their path to credibility. With almost 30 entrants, Catherine’s appearance at CEOtaku represented perhaps the deepest collection of skill the community had seen for some time. Among that group were players like Michael “Mike Muscles” Murphy, Daniel “Ghoul02” Gulyas, and Kris “Toph” Aldenderfer, all of whom were vying for the opportunity to knock Dacidbro from his throne as world champion. While many top competitors, Dacidbro and Mike Muscles included, found their way to Catherine through the traditional side of the fighting game community, CEOtaku was the perfect showcase of the vast roots the game had laid down. Ghoul02 carried over his experience speedrunning the cooperative Babel mode with two controllers after finding footage of NorCal events online, and Toph used his knowledge as a longtime Smash player to become one of the first people to take a game off Dacidbro in tournament. When all was said and done, Broweleit again stood atop the CEOtaku hill, followed closely by Mike Murphy and Gulyas. Despite the gains made by other regions, NorCal continued their dominance of the competitive Catherine scene, thanks in part to the sheer amount of time they’ve put into learning the game’s intricacies. Unfortunately, improving one’s game isn’t as simple as it could be due to Catherine’s lack of online play. Outside of the west coast, players are forced to travel long distances to major events in order to test their skills or, barring that, create training groups from scratch. Now, the community will live or die based on the passion players take from CEOtaku to their own individual scenes. 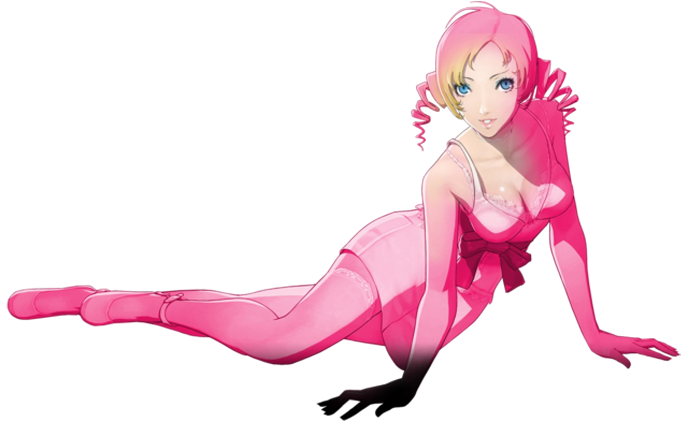 Unlike other fighting games, Catherine has no weekly events it can rely on to maintain interest until the next major tournament. In that way, the history of Catherine’s competitive community can be tracked in ups and downs, ebbs and flows. Every month brings another little death; the next, a rebirth. For their part, key players are nothing if not optimistic. In just a few weeks, the Catherine community will have their next shot at drawing in new players with King of Catherine, a high-stakes event being hosted in San Jose, California. At this point in time, it’s hard to accurately predict just where competitive Catherine will end up. Without a way to play online, its future lies entirely with the community’s ability to work alongside major fighting game tournaments and, when they earn a shot, doing their best to draw fresh blood into the fold.